In January, Revitalization Partners was invited to participate in a Podcast hosted by Paul Adams, CEO of Sound Financial Group. The subject was entitled “Speaking Bankanese” or how to talk to banks in a language that they understand. As this is a long podcast, it is broken down in sections so that you can listen to the parts that you find of interest. The podcast can be found on iTunes at http://bit.ly/sfb-itunes or on on the show notes page at http://www.fullcast.co/sfb-054. Why do you need to understand the way banks speak? When it comes to your money, it’s important to be able to translate what banks are saying to you into English, and avoid being the prey in a predator system. Today, Paul invites Al Davis and Bill Lawrence to help us decode this ‘Bankanese’ language, and make sense of it all. One point to note: At time 29:00, a discussion of business ownership contains a discussion of personal guarantees. We know this is a subject dear to many business owners and we wanted to point out this one particular topic. 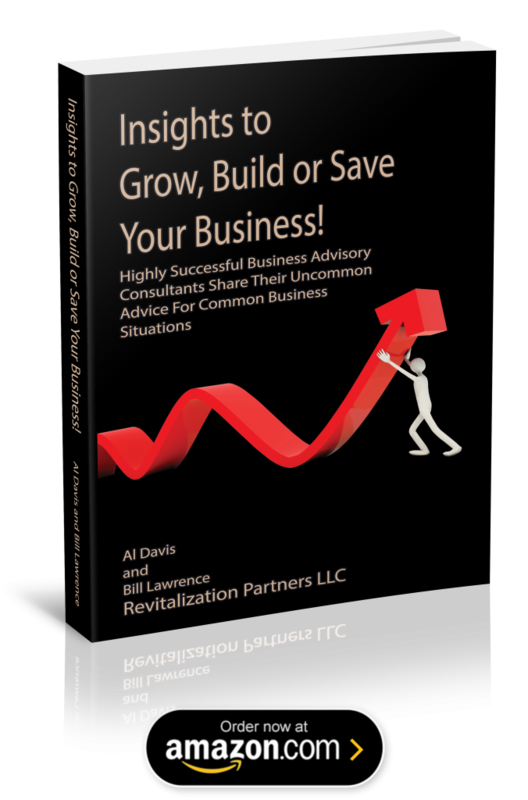 · 02:10 – What do Al and Bill do at Revitalization Partners? · 06:30 – $250,000 in 24 hours? What’s the catch? · 08:00 – The interest rate can get hidden in all the paperwork. · 14:20 – No one should sign loans without getting advice from their attorney, accountant, somebody! · 14:30 – These loan companies are advertising everywhere. · 17:40 – How can someone properly prepare their business to go to market? · 22:30 – Do you need a new bank, or do you need a private lender? · 28:10 – Don’t forget: Bankers are looking for deals. They are salespeople. · 29:00 – What happens when your lender wants a personal guarantee? · 32:40 – Single owner of a business vs. multiple owners? What should you do? · 36:10 – There are many benefits to developing relationships with more than one bank. You’ve positioned yourself competitively where the banks are now competing for your top dollar. · 38:55 – Never want to let your company go? Here’s a word of caution.